Chief justice of Jammu and Kashmir Justice Paul Vasanthakumar retired from service on Tuesday. 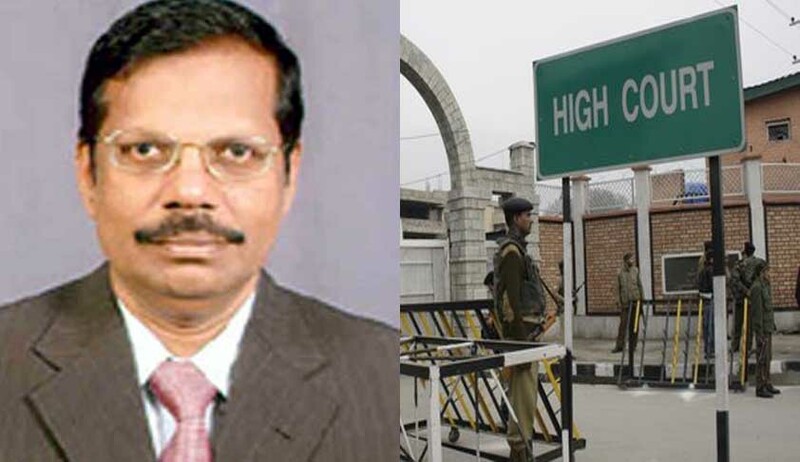 President Pranab Mukherjee has appointed Justice Ramalingam Sudhakar, the senior-most judge of the Jammu & Kashmir High Court, to perform the duties of the office of the chief justice of the high court. Delhi High Court judge Justice Badar Durrez Ahmed is likely to be appointed as the next chief justice of Jammu and Kashmir High Court. Justice Paul Vasanthakumar was appointed as an additional judge of High Court of Madras on 10.12.2005, and as permanent judge on 20.04.2007. He took oath as the chief justice of the High Court of Jammu and Kashmir on 02.02.2015. Earlier, in a representation submitted to the Chief Justice of India, the Madras Bar Association had requested the elevation of Justice Paul Vasanthakumar to the Supreme Court. In the letter, it was stated that the Supreme Court lacked adequate representation from the Madras High Court, “which is the oldest and a chartered high court”, with Justice R Banumathi being the only judge elevated to the apex court.